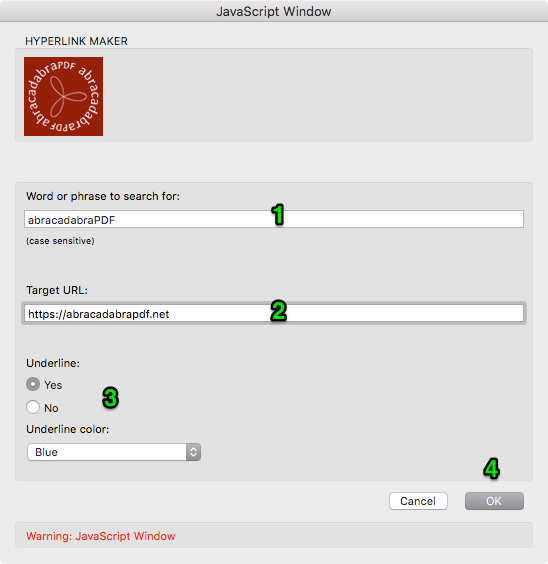 Hyperlink Maker adds hyperlinks to all occurrences of the searched word in a PDF document. 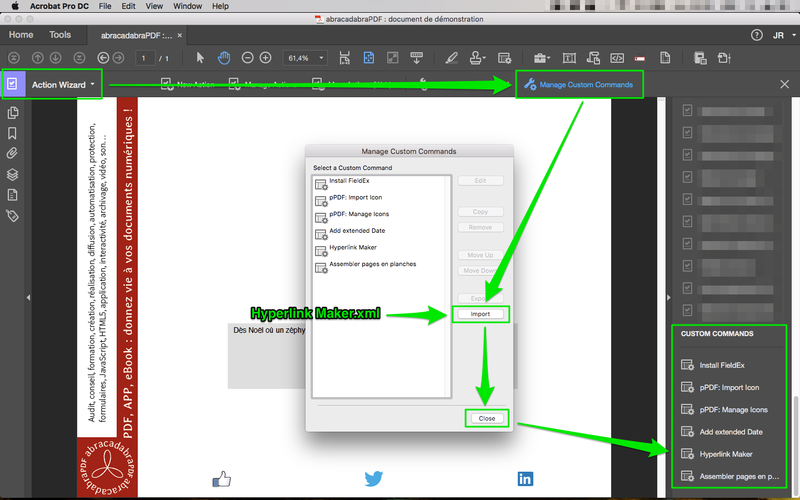 Hyperlink Maker is a « custom command » for Acrobat Pro DC. Acrobat Pro offers two tools for adding hyperlinks in a PDF document, but these are « manual » tools that require hyperlinks to be created one by one, which can quickly become tedious. Hyperlink Maker automates the creation of hyperlinks, you just have to specify the word to search for, the target of the hyperlink and the possible underline color.